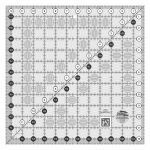 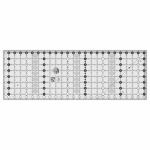 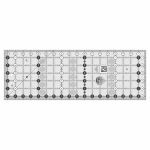 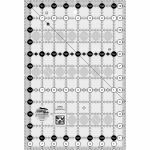 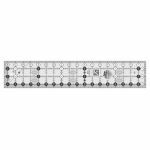 This 20.5 inch square features easy-to-read black and white markings printed in 1 inch grids marked in 1/8 inch and 0.25 inch increments. 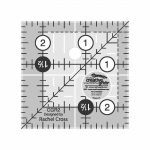 Use the easy-to-read, numerical black numbers (printed on white dots) and the 0.25 inch grip sides to cut whole inches. 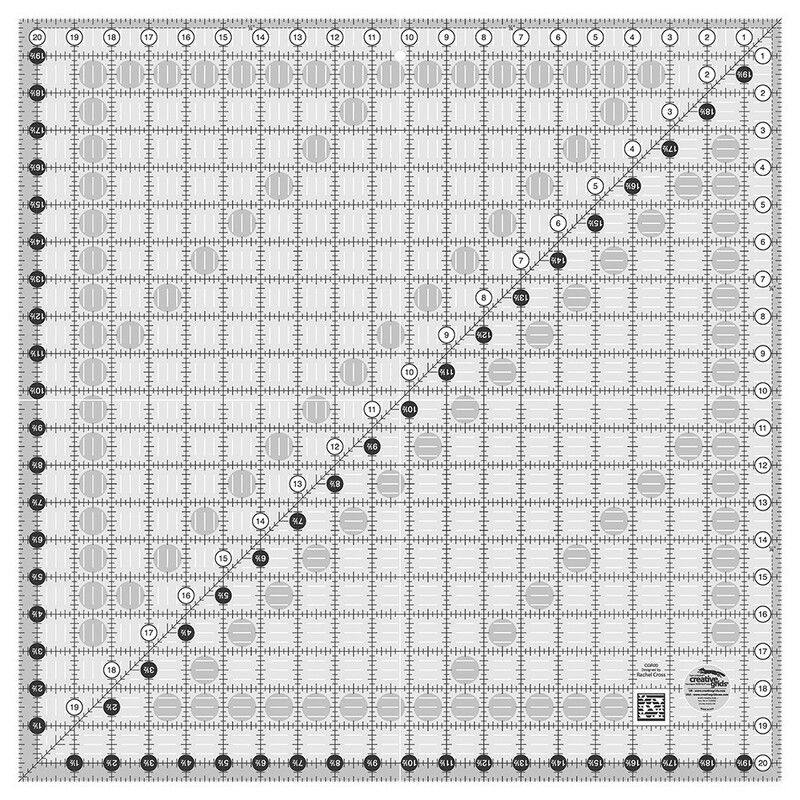 These 0.25 inch grip sides accentuate the dashed lines printed 0.25 inch away from two adjoining edges to aid in trimming seam allowances. A 45 degree angle is printed in black. 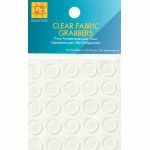 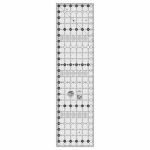 Creative Grids Ruler 3.5" x 18.5"
Creative Grids Ruler 8.5" x 12.5"